“Researchers Find Dolphin Loose with Remains of Legs,” blared some news reports. Twice in the past five years, our alleged ancestry with apes has made the cover of Time magazine. Ethiopia “loans” secular U.S. museums its famous native “daughter”—a supposedly 3.2 million-year-old hominid named Lucy. Last year in China, geologists discovered fossilized animal embryos, which evolutionists believe to be 600 million years old. 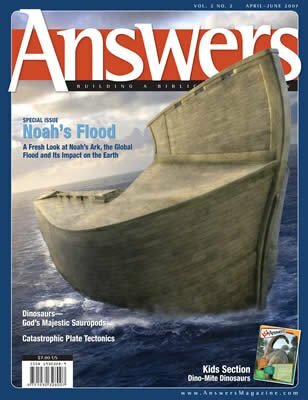 Britain’s secular newspaper The Daily Telegraph, in its September 25, 2006 publication, has unwittingly given support to the reality of Noah’s Flood.